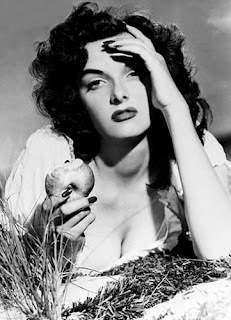 Jane Russell, one of the most popular screen actresses of the 1940s and '50s, has died at the age of 89. 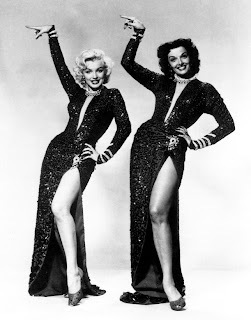 Jane Starred along side Marilyn Monroe in one of my favorite films Gentlemen Prefer Blonds. Update and Skirt Give Away! Sweater Girl at the Hoochie Coochie Club!